Bitflyer is one of the world’s largest Bitcoin exchanges. Operating from Japan, the company opened a San Francisco office in 2017 to expand into the American cryptocurrency market. Though Bitflyer only supplies Bitcoin, they are nonetheless always near the top in terms of global daily volume. This is largely due to Bitflyer’s market presence. The exchange is wildly popular in Japan, the United States, and Europe. As of last year, the exchange had transacted more than $100 Billion in various currencies, and Bitflyer continues to grow at a rapid pace. Because they offer so few coins, Bitflyer won’t meet the needs of every trader. The exchange to which it can be best compared is Coinbase, as a highly secure way to buy crypto’s largest coin. For people who want to trade different currencies, or who want a wider range of trading option, other exchanges like Binance may be the best choice. For beginners who want ease of use while still getting access to more coins than the one offered by Bitflyer, eToro may be the best option. 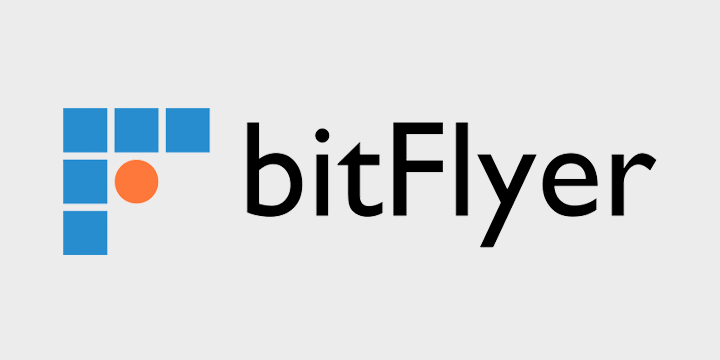 Bitflyer was founded in Japan in 2014. And while there are numerous Japanese cryptocurrency exchanges which set out to do business only within their country of origin, Bitflyer had larger aspirations. In the years to follow, the company would open offices in Europe and become one of the best-used exchanges in that continent. Expanding to San Francisco in 2017, Bitflyer because a major player in the United States market, offering direct competition to exchanges like Coinbase/GDAX and Gemini. Bitflyer sells only Bitcoin. While this might seem like a restriction to people used to exchanges with larger selections, this choice is not without reason. Bitflyer accepts payments for Bitcoin in US Dollars and other fiat currencies within their market range. The regulations place upon exchanges like Bitflyer, especially when they come from different world governments, are immense. To open fiat pathways for more than one cryptocurrency would be a huge undertaking. This is not to say that Bitflyer sells only Bitcoin because anything else would be too difficult. Bitcoin is still the world’s most-used cryptocurrency, by a fairly wide margin. Cluttering a platform with numerous trading pairs makes it inaccessible to beginners, and those who want to invest in Bitcoin alone, not the smaller coins found in its novel asset class. For these reason and more, Bitflyer is a trusted choice for investing in Bitcoin in a secure and legal fashion, for 1/3 of Earth’s inhabitants. Bitflyer is trusted and secure. The performance of the platform is excellent, and their entry into the near-monopoly that was 2017 American fiat>crypto exchanges was a breath of fresh air for investors. Still, Bitflyer sells only one cryptocurrency, meaning that traders with greater needs will have to look elsewhere. Before we break into the rest of this Bitflyer review, let’s look at a couple of qualified alternatives to Bitflyer. eToro. eToro is an interesting alternative to Bitflyer in many ways. For one, the company doesn’t “sell” cryptocurrency in the traditional. Instead, they offer CFDs (contract for difference), which have the same profit and loss potential as traditional ownership, but without the added difficultly of transferring and safely storing digital currency. eToro offers about a dozen cryptocurrencies, all of which are quality projects. It’s not available for users in the United States, but elsewhere this simple exchange is an excellent alternative to Bitflyer for people who want a little more than Bitcoin. Binance. Binance is the world’s largest Bitcoin exchange. It’s available in all of the markets in which Bitflyer is currently situated, but it offers dozens of trading pairs, not just Bitcoin. Binance requires a bit more knowledge than simple exchanges like Coinbase, but is little more difficult than Bitflyer’s Lightning Exchange. The only real difference is that users will have to choose their trading pair of choice on Binance, while options are very limited on Bitflyer. Coinbase/GDAX and Gemini are Bitflyer’s direct competition, especially within the United States. Both offer USD>crypto trades, but each offer a few more coins than Bitcoin. Though the options are more numerous, only Gemini can compete with Bitflyer’s low fees. Coinbase is knownfor high fees, and their popularity really doesn’t speak to this deeper reality. For users who wish to save a buck while buying popular cryptocurrencies, GDAX and Gemini are the only real competition for Bitflyer, at least if we’re only considering exchanges with strong reputations for security. Bitflyer may work perfectly well for your needs. In the rest of this Bitflyer review, you’ll find that it has numerous benefits and security features. We simply want to provide our readers with the best selection of options, so as to give them a great chance of success in crypto trading and investment. Bitflyer may offer only Bitcoin, but buying it requires a bit more skill than similar sites like Coinbase. When you create an account, you’ll be directed to your account dashboard. Here you can deposit US Dollars. Once you’ve used the site for awhile, you’ll also be able to see your trade history here. Withdrawals are performed here, if you wish to “cash out” into fiat or simply send your Bitcoin elsewhere. You can export your trading history into several file types. You can also access security settings here, including your site PIN and 2 Factor Authentication setup. Next comes Bitflyer’s Lightning exchange. The exchange page will look familiar to anyone who has traded cryptocurrency very widely, especially for those who have used GDAX. Like GDAX, Bitflyer trading might seem a little much to beginners, but once you understand the features of the page, it’s not as hard as all that. The page above shows you recent price action in the visual charts and trade histories. You can also see buy and sell bids currently available on the market. There’s a chat feature which you can ignore or use. Finally, there’s the ability to buy or sell Bitcoin. On this page all you’ll be able to do is make simple market and limit trades. Market trades sell you Bitcoin at the lowest price currently available on the market. Limit orders allow you to specify the price at which you would like to buy Bitcoin, and your order is filled only if the price hits that price at some future time. When you click “Special”, you go to the screen pictured above. Here you can set up stop-limit orders to automatically cancel a position if the price of Bitcoin hits a number you specify. You’ll also be able to set up more sophisticated automated trading. We like that Bitflyer makes these more advanced trading possibilities available, without putting them on the main trading page and thus giving new users more confusing features to worry about. Bitflyer’s fees are as low as it gets. The site charges nothing (0.0%) for buy and sell trades. The only cost is at deposit and withdrawal. The user will be charged 0.0004 BTC for each which, at the time of this writing, is equal to $3.35. Let’s compare this to Coinbase, who has a base fee of 3.99% (usually discounted), and you’ll see that Bitflyer is the much more affordable option. For a better understanding of where this price (or lack thereof) fits into the wider industry, let’s look at the prices for some popular exchanges like Bittrex (0.25% commission for all trades) and Binance (0.10% for buy orders). Free is always great, but when you realize that almost no one else allows free trading, Bitflyer really does start to show its value. Bitflyer is a relative newcomer to the fiat>crypto American exchange scene, and this fee model is clearly meant to help them stand out from the crowd. If you’re looking to buy Bitcoin and nothing more, we can’t find a better option, at least when price is the only consideration. Will Bitflyer Get New Coins in the Future? The fact that Bitflyer sells only Bitcoin may be the biggest downside to the platform. Most cryptocurrency investors want access to more currencies, and while Bitflyer’s no-fee model is a great perk, the inconvenience of using multiple platforms for trading may keep some investors away. Fortunately, it’s likely that Bitflyer will expand to supply more currencies. Bitflyer’s Japanese version sells Bitcoin, Bitcoin Cash, Litecoin, Ethereum, and Ethereum Classic. Some of all of these coins are likely to appear on the American Bitflyer version in the not-too-distant future. A cryptocurrency exchange is only as good as its security. It doesn’t matter how cool and intuitive a platform is if it’s vulnerable to attacks. Fortunately, Bitflyer outperforms in this regard, using numerous security mechanisms. First of all, the company is thoroughly regulated throughout the United States, Europe, and Japan. This should give users confidence that funds held in trust with Bitflyer will be safe, and the American company has yet to have a major hack or scandal. Daily users of the site can secure their funds using a password, PIN, and 2 Factor Authentication. This three-fold security mechanism strategy is enough to protect the average user from their funds being stolen. Finally, Bitflyer uses excellent means to secure the funds they are entrusted with. 80% of the Bitcoin held by the company is stored in a cold wallet, physically. That means, the funds are stored on an actual piece of hardware. Bitflyer ways that these devices are stored under lock and key, with multiple layers of locks, and that the entire area is surveilled 24 hours a day. The remaining 20% is online, providing liquidity for trades, but again there has been no record of fund loss yet for the successful and growing exchange. To learn the details of Bitflyer’s security model, read their full statement on the matter here. Customer service is an Achille’s Heel for many cryptocurrency exchanges. In 2017, when crypto was growing by leaps and bounds, many exchanges could not keep up with demand, resulting in customer service that was sparse, unfriendly, or virtually non-existent. We’re happy to report that Bitflyer’s customer service seems to be well above par. We’ve received fast service in our limited daily use, and a look at online forums reveals more raves than complaints when it comes to Bitflyer customer service. We hope that as the site grows, this level of customer service is sustained. Like most cryptocurrency exchanges, users can sign up for different levels of privilege on Bitflyer. In all cases, the user will have to supply personal identifying information and/or perform certain behaviors on the platform. New users start out with a $2,000 limit for deposits and withdrawals within a single day. These are easily upgraded to $5,000 limits, with $50,000 maximum limits for people who pursue higher level account accreditation. For users who get a Pro Trading account, all limits are taken away. Such limits are in place to prevent the site from being used for money laundering and other kinds of financial fraud. Only when the site really gets to know its user can this user’s limits be increased, because the company then understands that this individual is a low risk for fraudulent activity. The only bad thing we can say about Bitflyer is that, in only selling Bitcoin, the company misses out on crypto investors who want more than just Bitcoin. In just about every other way, Bitflyer outperforms. Their fees are free – something you see virtually nowhere else; the trading is simple and secure; the site is relatively intuitive but not devoid of sophisticated trading. As a method of buying Bitcoin with fiat currency, there’s not a whole lot more than you could ask for. We expect Bitflyer to keep growing, and to add currencies they don’t yet support in the United States. If and when this occurs, Bitflyer may end up being the best way to buy Bitcoin in America.